By Hayat BOUAMAMA My seconde ebook is about the newst ways and tricks in Social media connection to boost any business markting, some are free others are paid, I will be happy to get your email after reading You will get a PDF (342KB) file. How to make money by own list business? 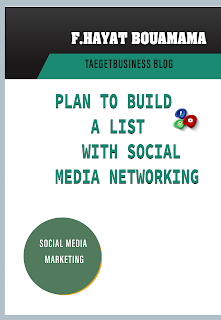 This is My First ebook, it's all about list Advertising Membership ways, this is my advertising copy strategies to go cheap and fast, the best thing is in my book, you find your way to network and connect your audiances not just reach hits traffic, without any good contacts. You will get a PDF (1MB) file.